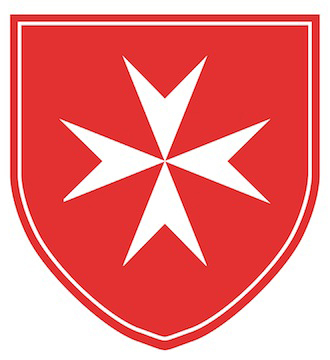 Joint project across the Order of Malta, under the operational responsibilities of the French Association of the Order, the hospital provides the population of Bethlehem and its surrounding area with an indispensable service, offering the only possible place for women of the region to give birth under good medical conditions. Since 1990 more than 67,000 babies have been born in the hospital. Its primary objective is to offer high-quality maternity care to all women, regardless of race, religion, culture or social condition. American and European specialists have confirmed that the hospital operates according to an excellent western European standard. Because of the continuing unstable political and the very tight economic situation, the need for the hospital services has increased. 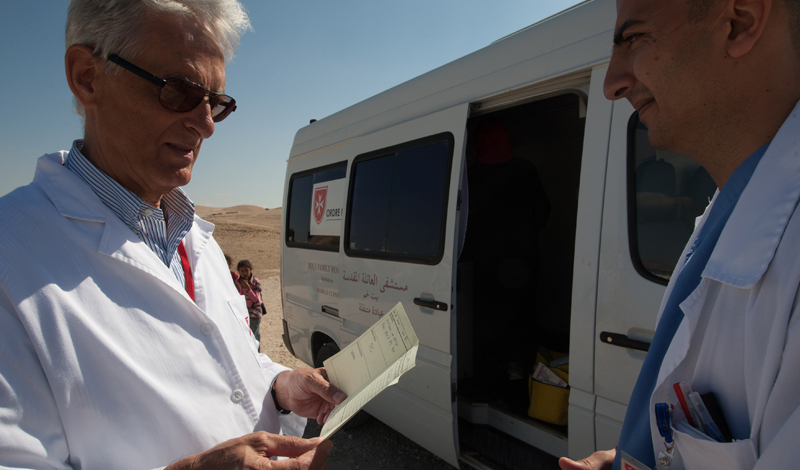 Palestine has no national health care system and therefore the hospital’s operating costs are sustained by the Order of Malta. Patients are asked to pay what they can afford. The cost is established on the base of an assessment of the patient’s socio-economic situation. For those unable to pay, charges are reduced or waived. The heavy financial burden is borne by the French Association, with help from the National Associations of Germany, USA, Ireland and Switzerland and by the European Union. Recently the “Holy Family Hospital Foundation” – an organisation created by American members of the Order – has raised funds that have provided an important contribution to ensure the hospital’s continuing operation. In 1892, the Turkish Sultan Abdul-Hamid II gave the Sisters of Charity the licence to build and maintain a hospital in Bethlehem. At a later date, the Turkish Authorities gave the hospital tax exemption within the Mytilene and Constantinople Agreements signed with the French Government. 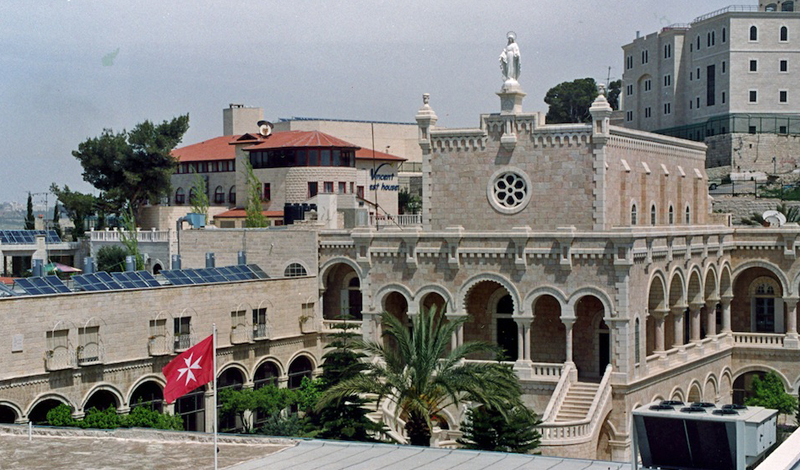 In 1895 the Holy Family Hospital opened its doors, and grew into a busy general hospital, providing medical, surgical and maternity facilities for the people of Bethlehem for almost a century. In 1985, the hospital was forced to close due to political and social factors associated with the Arab / Israeli conflict. That same year, in answer to the crisis, the Order of Malta decided to reopen one wing as a 28- bed maternity unit. It received assistance from the European Union for its renovation and equipment. On 26th February 1990, the first baby was born in the new facility. 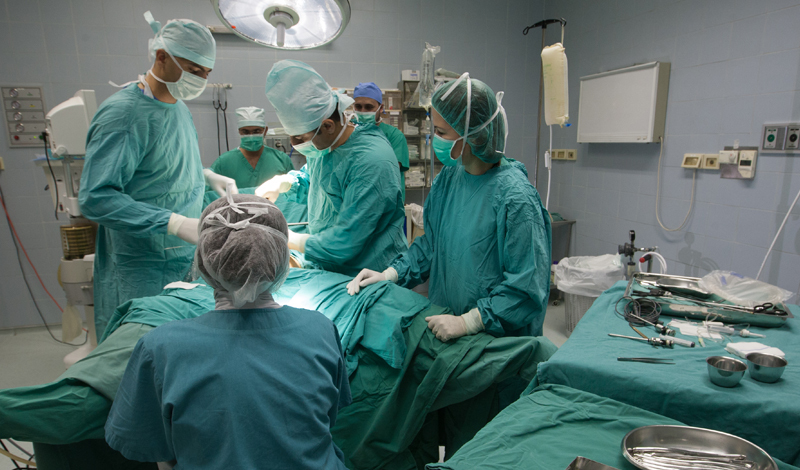 In 1997, due to increase in activity, an extension was added to include two extra delivery rooms, a second operating room, nine extra beds and a neonatal unit. Again, the European Union generously helped in the funding the equipment. During 2001, the number of babies taken care of in the neonatal unit was 277, with 1839 deliveries. In April 2001 the United States O’Neil Foundation donated a fully-equipped, mobile clinic to the hospital. 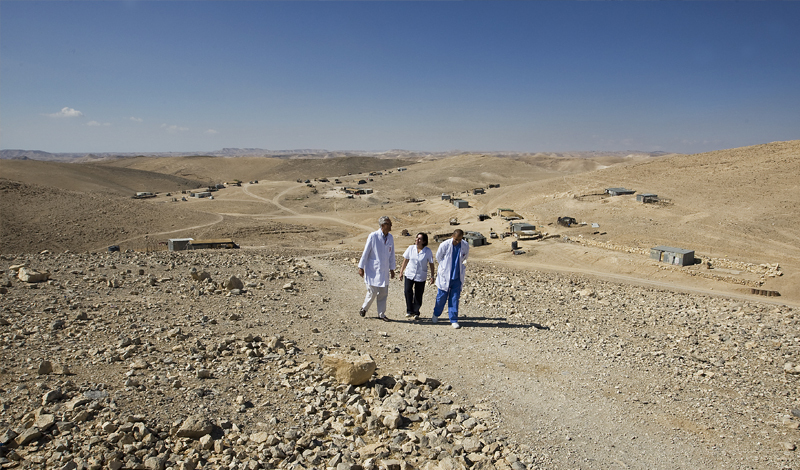 This unit made it possible for doctors to provide at-home medical and social assistance directly to patients living in communities living in the distant hills of the region, where basic services such as running water, electricity and public clinics are lacking. Due to the increase in activity a larger, much needed outpatient facility was opened in July 2001 in another wing of the old hospital. From the beginning of 2003, however, this number has seen an increasingly steady decline due to the population’s overall state of poverty. In 2007, thanks to the donations of the American Congress and of the Belgian Government, a new Delivery Ward and a larger Neonatal Intensive Care Unit have been inaugurated. A new diabetic clinic for pregnant women has opened in 2010, dedicated to the treatment and management of gestational diabetes that occurs during pregnancy. The clinic provides diabetic care free of charge. 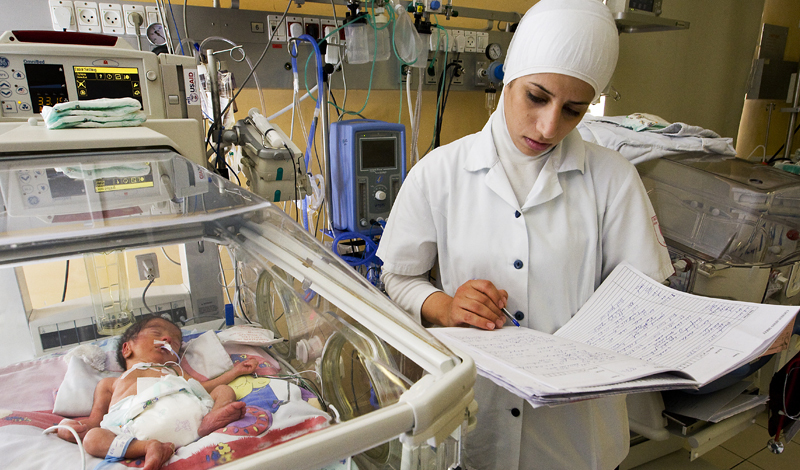 A new paediatric and neonatal care unit was inaugurated in 2013 thanks to a donation from the Belgian Government. The unit will provide assistance for those living in villages around Bethlehem.